Two men arrested in connection with an alleged attack on "Empire" star Jussie Smollett have been released without being charged due to new evidence from interrogations on Friday, Chicago police said. "Due to new evidence as a result of today's interrogations, the individuals questioned by police in the Empire case have now been released without charging and detectives have additional investigative work to complete," police spokesman Anthony Guglielmi said in a statement. Smollett filed a report with the Chicago Police Department on Jan. 29 stating that two masked men hurled racist and homophobic slurs before beating him. The actor also said his attackers poured what he thought was bleach over him and put a noose around his neck. 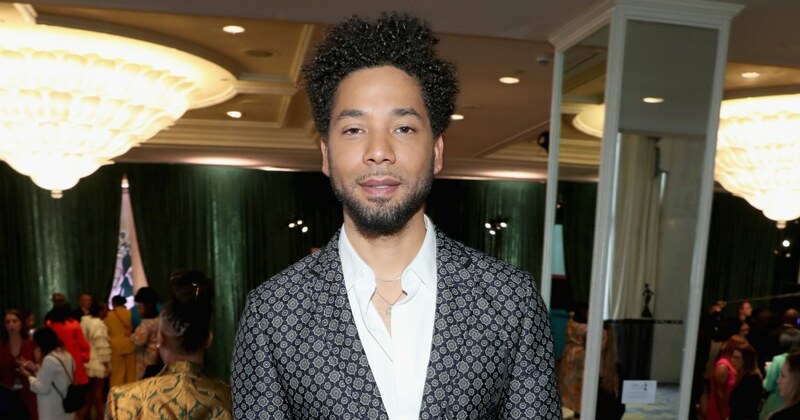 The department said it was investigating the alleged attack against Smollett, who is black and gay, as a possible hate crime. Police spokesman Tom Ahern said earlier Friday that two men whom police had been questioning in relation to the alleged attack were arrested and were being questioned but have not been charged. Police said the two men, who are brothers, are believed to be the men in a still image released earlier by police. The image was taken from surveillance video on the night of the attack. The men were picked up by officers at Chicago's O'Hare International Airport on Wednesday after returning to the city from their native country of Nigeria. On Thursday, police served a search warrant at their home. At least one of the men has worked on "Empire," the show Smollett stars in, Guglielmi has said. Guglielmi said in a tweet Thursday that the brothers were in an "area of concern." Police had previously released pictures taken from surveillance cameras of two "potential people of interest" in the case.